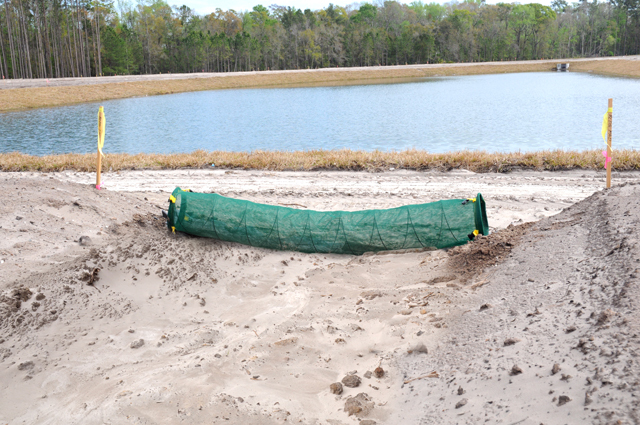 Lightweight, compact silt control device – easily stored and transported. Heavy-duty steel springs instantly expand when needed. 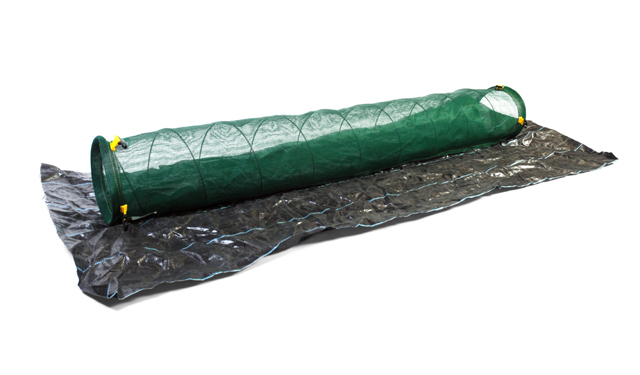 100% polyester fabric (green mesh) reduces runoff flow velocity and retains silt. Durable polypropylene (black skirt) helps hold the unit in place with dirt, rocks, or stakes. 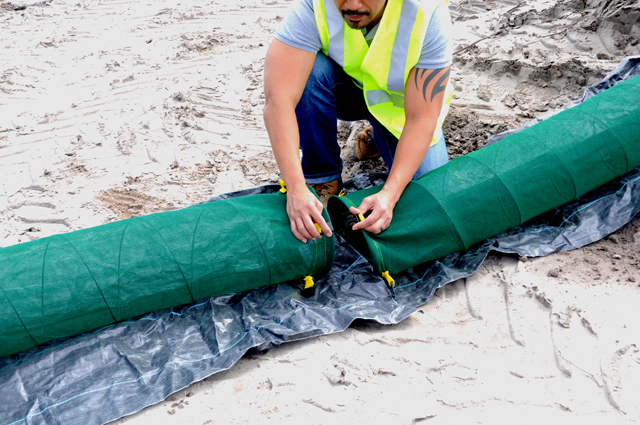 Quick and easy installation – no post digging or trenching required. Versatile – units can be clipped together to create longer lengths as needed. Applications include: construction site erosion control, storm channels, check dams, ditches and silt control on slopes.